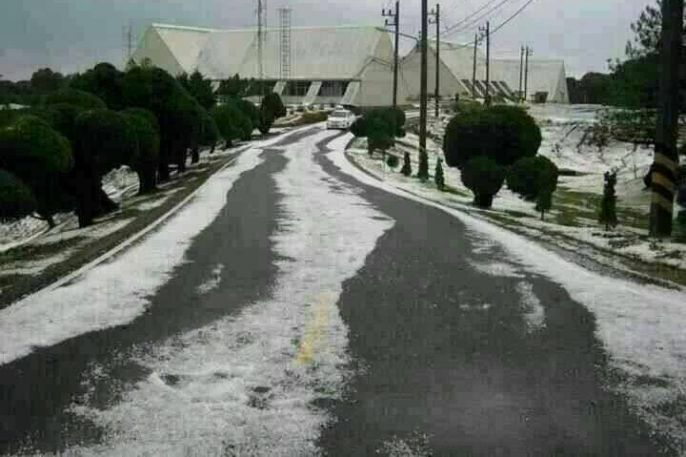 Because it’s snowing in Vietnam, Myanmar and Laos – people are starting to question whether it’s possible for Thailand to be blanketed by this precipitation in the form of flakes of crystalline water ice that falls from clouds. There is in fact rumors on social networks that Thailand’s northern provinces would soon be covered in snow. However, I regret to inform you that it’s IMPOSSIBLE! 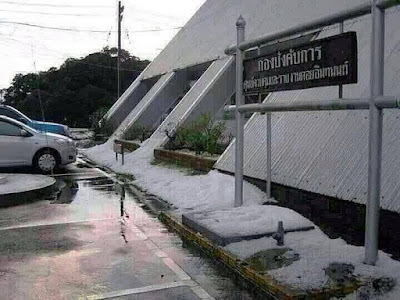 According to Sri Chaiyanon, a meteorologist, snow won’t fall in the Kingdom even if we are experiencing extreme mercury drop this time of the year. “It would need more factors than just freezing temperatures, such as altitude clouds – which Thailand doesn’t have,” Sri told Khaosid English. 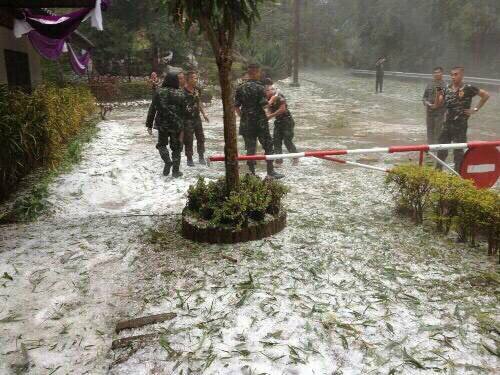 Therefore, the photos of Doi Inthanon covered in snow making rounds on social media this week, were in fact old ones taken in 2013 when Thailand’s highest mountain was engaged in a battle with a hail storm. That said, the white thing blanketing the road was not snow.